The EERC welcomes T. Austin McRae as a Research Engineer, where he is involved with process engineering and design for wellsite operations, pipeline transport, and environmental science related to oilfield operations. He holds a B.S. degree in Petroleum Engineering from the Colorado School of Mines. Austin’s principal areas of interest and expertise include petroleum industry operations and support, specifically well stimulation; enhancing coordination between energy industry and environmental efforts through improved technology, practice, and understanding; and advanced energy technologies. 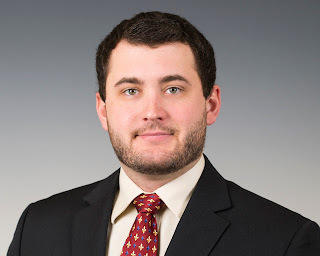 Previously, Austin worked as a Field Engineer in the hydraulic fracturing division of Baker Hughes Pressure Pumping in New Mexico and Texas, mainly in the Delaware and Midland Basins. Austin’s primary responsibilities involved assisting in job design and pre-job planning, monitoring pressure readouts and job parameters, and generating posttreatment and regulatory reports. Key functions of his position and the engineering department included ensuring quality technical product and service delivery through laboratory and field fluid system testing, technician management, on-site job monitoring, and customer interaction. Austin said he became aware of the oil industry quite early, being a child of two career industry professionals. Throughout high school, he gravitated toward physics and earth sciences, specifically enjoying a geology elective. Raised in New Orleans from an early age, Austin said he is finding the cold weather here “quite refreshing” after an 80° November in New Orleans. However, he expects that he will miss the food there, especially the seafood. The EERC is pleased to welcome Neil Wildgust as a Principal CCS Scientist. In this position, he leads projects and risk assessment activities related to CO2 storage and enhanced oil recovery (EOR), working with team members to prepare and lead proposals and develop and manage project scopes of work, objectives, personnel, and budgets. His areas of interest and expertise include carbon capture, utilization, and storage (CCS); EOR; and project management. He holds an M.Sc. degree in Applied Environmental Geology from Cardiff University, Wales, and a B.Sc. degree in Geology from the University of Southampton, England. 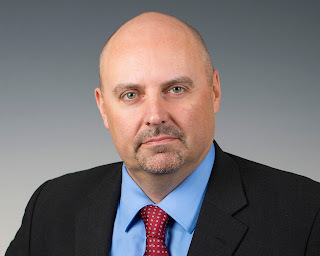 Prior to joining the EERC, Neil was the Manager for Geological Storage with the Global CCS Institute, responsible for leading the storage advisory team across the institute and managing relationships with Canadian members. He has also worked for the IEA Greenhouse Gas R&D Programme (IEAGHG) and for the Petroleum Technology Research Centre, managing the IEAGHG Weyburn–Midale research project. In addition to Neil’s experience with CCS projects and research across the world, he is a chartered geologist (United Kingdom) and has 25 years of industrial experience in mining, land contamination, and hydrogeology. He has also recently been appointed an Associate Editor of the International Journal of Greenhouse Gas Control. Neil’s interest in CCS came about almost by chance. In the mid-2000s, he was working as a hydrogeologist for power utility EON in the UK. His supervisor was an air quality scientist responsible for tracking developments in CCS technology. “He sent me to the 2006 GHGT conference in Trondheim, Norway, to learn about CO2 geologic storage. The sheer scale of ambitions for CCS—the challenge of isolating huge quantities of CO2 from the atmosphere over a small number of decades to mitigate impacts on the climate—had me hooked very quickly,” Neil said. “My bias has inevitably been toward the storage side of CCS over the last decade. If capture is the expensive part of most CCS projects, storage is usually the uncertain part, and there are a great range of technical advances being researched to better manage and reduce these uncertainties. EOR remains the predominant form of storage and a key driver for the wider deployment of CCS,” he added. “The PCOR Partnership has an outstanding reputation well beyond the United States and Canada, and Bell Creek has provided the EERC and the PCOR Partnership with a world-class storage research project, so I’m excited to have the chance to get involved in those efforts,” said Neil. “The location of the EERC at the heart of a resource-rich region, together with expertise and facilities covering so many aspects of applied energy research, is a powerful combination. The EERC has a reputation of working closely with industry clients and striving to exceed expectations. My first weeks here have impressed on me how deeply ingrained this culture is within the organization,” he remarked. Neil and his wife have four grown children and two granddaughters who all live in the UK. Holidays and time together on either side of the Atlantic are precious, he said, and “usually crammed with as much fun as possible to keep everyone happy.” Neil spent “vast swaths” of spare time playing cricket and “real football” (soccer) in the past but declared he has retired from both. 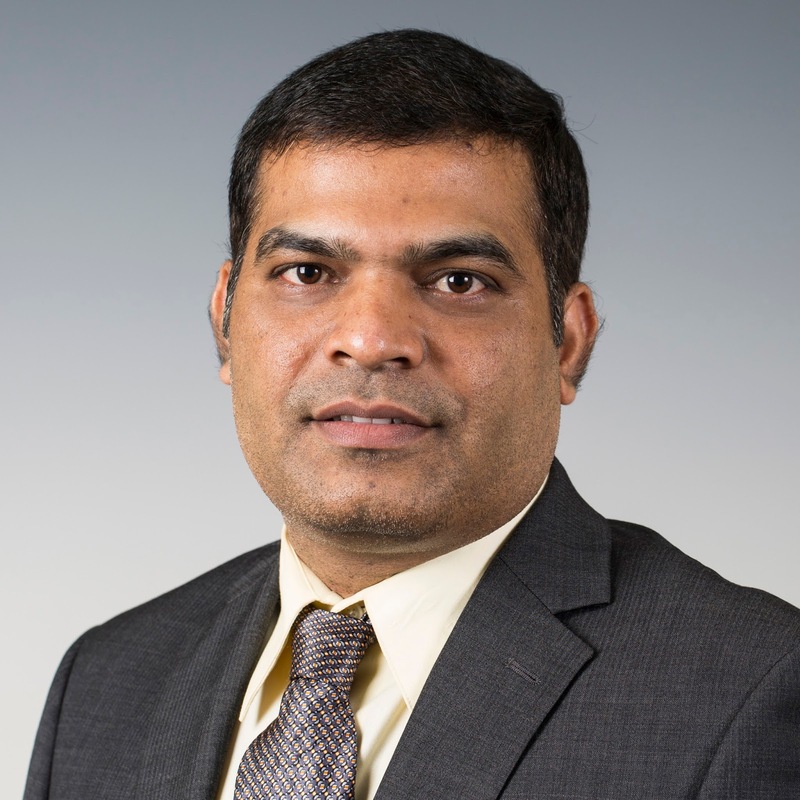 The EERC welcomes Research Engineer Dr. Jivan Thakare to the EERC, where he performs process engineering and design related to wellsite operations, pipeline transport, and environmental science as it relates to oilfield operations. He holds a Ph.D. degree in Chemical Engineering from the University of North Dakota (UND), an M.S. degree in Chemical Engineering from Texas A&M University, and a B.S. degree in Polymer Technology from India. Jivan has worked as a researcher at the EERC previously. Jivan has a strong background in natural gas engineering and process simulation, and his principal areas of interest and expertise include oil and gas production optimization, process modeling, emission control and environmental remediation, materials for renewable energy/fuels and energy devices, and data reduction. Jivan has expertise in quality control and quality functions and has experience with bringing product lines through the transitional stages from research and prototype to full production and distribution. Some of the projects Jivan has worked on at the EERC are computational model development, evaluation of potential nitric oxide chelating agents, electrochemical gas-to-liquid technology development, and reservoir history-matching modeling. He has developed concepts and grant proposals for electrocatalyst and electrochemical process research regarding electrolytic ammonia synthesis, electrolytic gas-to-liquid conversion, and innovative PEM (proton exchange membrane) fuel cell catalyst support. Jivan comes from Shegaon, in the state of Maharashtra, India. Jivan and his wife, a graduate student at UND, have a 3-year-old son and are expecting another baby. In his spare time, Jivan enjoys sports, especially cricket.